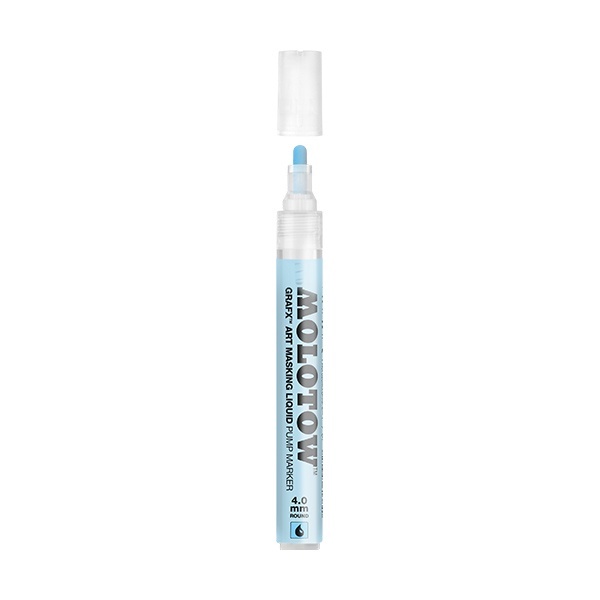 Molotow Grafx Masking Liquid Pen is a convenient tool to block out areas of an artwork when using water colour, ink or airbrush. Once applied, the masking fluid will retain the white of the page or previous colour that was painted. Great for fine detail and creating sharp edges, the Flowmaster valve ensures precise and clean application. Gently shake pen before use. Apply masking ink directly to the areas to be masked, allow to dry completely (min. 10-15mins) before painting. Remove by rubbing with an eraser or fingers. Coloured to be able to see easily. Remove masking within 2 days.